Kurt Francom currently lives in Woods Cross, Utah with his lovely wife Alanna. They are blessed to have two children (girl and boy). He enjoys drawing caricatures and editorial cartoons, basketball, reading, and college football. Kurt has served as a full-time missionary (California Sacramento), an elders quorum president, executive secretary, bishopric counselor, high priest group leader, bishop and 1st counselor in a stake presidency. Hugh Ballou: This is another version of Orchestrating Success. I have Kurt Francom on here. Kurt and I are passionate about leadership, and we discovered each other on LinkedIn. We went back and forth and had a conversation, and we decided we wanted to share information with our mutual audiences. Kurt, welcome to Orchestrating Success. Kurt Francom: Hey Hugh, it’s a pleasure to be here. I love talking with other podcasters because people just don’t understand the struggle. I celebrate your success with the podcast. Hugh: People find me, and I don’t know how they find me but they do. You and I come from a similar background. I served mainline Protestant churches for 40 years and rallied people in music ministry, creating ensembles. In my church in Atlanta, Georgia, I was a staff person. You do leadership in the LDS church. In big Presbyterian Methodist churches, it’s a paid position. I discovered that 90% of my job as music director was music, and the rest of it made music possible. I learned to create systems and influence people. I’d love to swap stories with you, but before we go on to the questions and digging into your knowledge base, tell our listeners about yourself. I prefer for my guests to speak about themselves rather than me trying to read a boring bio. Talk a little bit about your background and why you’re doing this. Kurt: Sure. At the end of the day, I’m just a typical Mormon boy from Salt Lake City. I grew up in a city just outside Salt Lake City called West Valley City. Born and raised in the LDS church. Jumped through the typical Mormon hoops. Served a mission in Sacramento, California. I had the opportunity of learning Spanish because it feels like Northern Mexico there some days. I had the great pleasure of serving among the Spanish-speaking population there and sharing our message. After my mission of two years, I came home and a few years later got married. I was dumped in church leadership. I don’t mean that in a negative sense. In the LDS church, in the Mormon faith, it’s all lay ministry. Whether you are a Ph.D., plumber, or mechanic, anybody in the local congregation or ward can be called as the bishop or the presiding priest of that area. I moved into an area that was in the inner city of Salt Lake and had no inclination or desire to necessarily lead the congregation. But a few years into that, I was called in at the age of 28, which most bishops serve when they are in their late 30’s, early 40’s. They asked me to be the bishop at 28 years old and to preside over about 500 people in the Salt Lake area in our ward. I knew nothing about leadership. I had served with other bishops. I had been an elder’s quorum president over a smaller group of some of the priesthood men. There I was expected to stand and be a dynamic leader and meet with individuals and counsel with them and recommend professional therapy or counsel them on maybe a difficult marriage they are in, the typical things maybe a clergy is found doing. That is when I realized that maybe there could be some more resources out there that could help LDS leaders. I would go into a Barnes and Noble and see bookshelves filled with incredible, dynamic books that would help people in the business world who were striving to lead. I wanted to take some of those principles like Stephen Covey, another famous Mormon leader. Stephen Covey, Liz Wiseman, a lot of these who have written great books, take these principles and apply them to LDS church leadership. That spurred on a podcast I produce around leadership in the context of the Mormon faith. Then we turned it into a nonprofit called Leading LDS, where we are striving to help lay leaders in the church enhance their ability and capacity as they face these difficult situations. Hugh: That’s pretty profound. I understand that from my many years serving in church. You call it a ward. It’s like a parish for a Catholic or an Episcopal church. And it is run by volunteers basically, right? Kurt: Yeah, absolutely. The neat thing is wherever you move, you are assigned to a ward. I can’t just shop and find a pastor or bishop that resonates with me or likes me. If you are in a geographical area, the church determines what parish or ward you will attend. You go there and everybody takes their turn. I served as bishop for about five years, and then somebody else served. After him, somebody else will serve for about five to six years, which is the average. It creates this unique leadership dynamic. Nobody is paid. Nobody really wants to serve. But if they are asked, we believe these callings and assignments come from inspiration and revelation. We feel as we are called by God and step up and serve as we are asked to do. It is interesting to see that responsibility passed around. We are all volunteers that work a 40-50 hour week in our day job, and in the weekends and evenings, we are acting as clergy and doing our best at it. Hugh: That’s amazing. You got called into a leadership position. Did I hear you say you didn’t know leadership? Kurt: Well, I had just graduated college with a marketing degree. I had served as a bishop counselor, as an assistant to the bishop before that and on different smaller auxiliaries within the local ward. This was a whole new experience of being the go-to guy when it comes to life problems or collecting tithing funds and standing and delivering sermons that are going to impact individuals in a positive way and help them progress through the gospel. Hugh: When people ask the famous question, “Are you a born leader, or did you learn leadership?” what is your answer to that? Kurt: I definitely learned leadership. There are certain experiences that were put in my life that helped me develop and catch on to some of these skills. After being bishop, I then served in what is called a stake presidency. A stake is a group of wards. I was over a handful of about seven or eight bishops and their wards, helping mentor those bishops and helping them serve. It is remarkable to see those new bishops come in. The vast majority would claim they were definitely not born leaders, and they are really looking for help in developing that. In my experience, it was something through experience. I made a lot of mistakes. I don’t claim to be the Mormon leadership guru by any means. There are people much more fit for that title. I am grateful for these experiences, that other leaders took a chance on me when I had very little experience. But it has helped me develop personally in a way that is remarkable and has really blessed my life. Hugh: We are talking to business leaders on this particular podcast. When I talk to business leaders, I tell them I developed my methodology in a mega-church. They say, “Hey, why is that relevant to business?” My response is, “If you can do it in a church, you can certainly do it in business because it’s harder when you are working with volunteers.” You can respond to that paradigm, but what can business leaders learn from your LDS model? Kurt: I would encourage people, regardless if you have a connection to the LDS or Mormon faith, to maybe go visit a church and just admire what is happening there. We are a leadership laboratory. Imagine that you’re in your position as a manager, as a CEO, or an executive, but imagine you are limited to a certain geographical area or neighborhood. You can only hire people within that area. As a bishop, if I need a new organist or relief society president, who is the female leader over the women’s organization, I couldn’t send out a plea for resumes. I could only go to a handful of selected streets in an area and say, “What do I got? Who can step up to this and really lead?” Oftentimes, there isn’t obvious choices for a lot of these positions. As a secular leader, these are interesting paradigms to put yourself in and say, “If I couldn’t fire anybody,” because we can’t fire anybody. We can change their calling maybe, but we can’t say, “Hey, listen, this isn’t working out. Go away.” We have to put them somewhere else in our organization to serve. Of course, people get offended, but we want them to love attending church, not feel like, “Oh man, they fired me from this calling.” Imagine in your leadership if you could not only fire anybody, if you could only select from a very small demographic, how would you lead differently? Pondering that and visiting an LDS church and seeing how that works and trading those responsibilities around. I was a leader for five years. Now it’s your turn. Now I sit in the pews and look at this person who was maybe my assistant, and now I consider him my leader. Just these small leadership dynamics in the LDS faith and the lay ministry that will really cause a leader to pause and reevaluate maybe how they lead and how they can excel with these limitations and even outside that, recognize the limitations you have in your organization and see them as strengths and how you can apply them as better strengths. Hugh: We do have a lot of listeners that run small businesses. They are economically limited as well as geographically limited many, many times. That paradigm works really well. Your business is outside of the Mormon Church. You do this as a volunteer. But Leading LDS is your nonprofit that you teach leadership with? Kurt: Exactly. 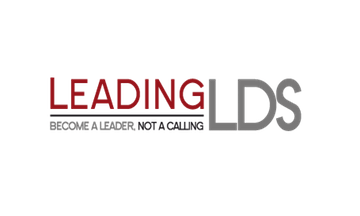 Leading LDS is a separate third-party organization that is supplementing the resources of leadership development for the LDS church. When I was called as a bishop, I was given a handbook and a pat on the back and was told good luck, and away I went. We are trying to connect some of these resources to those lay leaders that are treading water and just need some ideas and thoughts. A bishop in Maine may be doing something different than a bishop in Texas, and I help share those ideas by interviewing them on the podcast or sharing resources and tools they are using within those local wards. Hugh: I will put a link in, but tell us what your podcast is called. Kurt: It’s called Leading LDS. Hugh: It’s the same. I do have lots of Mormon friends. I would say they all are high performers. They are very serious about what they are doing. I also find that my Mormon friends are very astute businesspeople. There are attributes of the Mormon culture that are kind, focused, and serious about what I’m doing. It’s important work. Is that all tied to your spiritual calling? Kurt: You know, I would hate to take away their grit and hard work of going through schooling and developing that. But in the LDS faith, when I was 19 years old, it’s cultural norm for these young men and women to go on missions. I was dropped in Sacramento, and I had never experienced homesickness like I did at that time. I really had to step up and look at myself and say, I can either flourish or shrink in this situation. There is a great book called The Mormon Way of Doing Business, which came out 10 years ago. It talks about David Neeleman, who started JetBlue, and David Checketts, who was the president of the New York Knicks, and some of these other LDS Mormon individuals who have had great business success. A lot of that is attributed to not only their Mormon mission as young men and women when they really had to step up and define themselves as an individual. Also, when you return, you are still asked to lead in various capacities. If you are a manager, CEO, or other executive and you happen to know that somebody is LDS, you should ask them, “Have you ever been an elder president? What sort of leadership have you held in your local ward? How has that developed you?” You may find out characteristics about that individual that can maybe help you better utilize them in the capacities in their secular job. Hugh: Fascinating. I was remembering my work at a 12,000-member church in Atlanta, Georgia. I worked with 750 people in music ministry, all of whom were volunteers. Multiple events to plug into every week. We were on national TV and local TV, etc. The pressure was pretty high to motivate people to show up. When I got there, somebody told me they had lost 200 members in the adult choir. That was like your Mormon Tabernacle Choir losing your core singers and having a handful left. Your choir is bigger, but still. The critical mass, and having 35 people to build from. You have this big cavernous place to make sound. It was an uphill battle. I worked with executives, CEOs from major companies, who were in the choirs, who were in the committees, who were in the leadership of the church. I earned their respect because I could motivate people to follow a track and get things done. I’m curious when I hear people in the MLM industry, whether they have contract labor, people who aren’t really in their employ, say, “Oh, I can’t tell them what to do because it’s their own business.” I had a whole bunch of people that weren’t in business that did the directive we inspired. We created the compelling reason for what we’re doing. So I got a lot of respect from CEOs because I could motivate people by influence, not by power of position, which, to me, is one of the attributes of transformational leadership. You might be familiar with the works of Burns and Bass who in the ‘80s developed this concept of transformational leadership, which is like an orchestra or choir. It’s building a culture and influencing that culture to function at a higher level. I say back to you that I influence business leaders because of methodology and influence. From your side, business leaders coming into the laboratory that you suggested, is that kind of a learning experience that business leaders could expect? 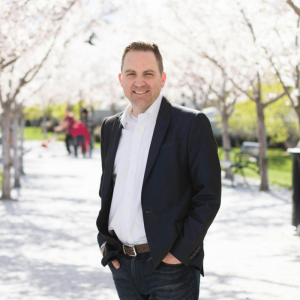 Kurt: As I was preparing for this interview with you, Hugh, I put down four principles that maybe a secular leader or a manager in their everyday life can learn from LDS leaders and the challenges that we face. One of those is your limitations and strengths. Another one I would say is what would you do if you didn’t have classic leveraging tools of motivation? You couldn’t demote someone, you couldn’t take their salary away, and you couldn’t fire them. They are all volunteers. How do you approach that? We have a fantastic scripture in our doctrine of covenance, which is a fantastic scripture just like the Bible. It says, “No power or influence can or ought to be maintained by virtue of the leadership, only by persuasion, long suffering, by gentleness, meekness, and by love unfeigned.” It gives you a whole new approach to motivating individuals when you can’t just yank their salary away or give them these harsh consequences that will impact their family life. It’s through this meekness and long suffering, really connecting and getting to know these individuals. Just like servant leadership or transformational leadership, these are all different ways of saying this, but really leading in a way that connects with the individual so they do want to have influence and realize they are a leader themselves. They can have remarkable impact on their local ward or even at work where they have important responsibilities. Kurt: Yep, we have the same dynamic. Hugh: If it ain’t workin’, either in a business context or a volunteer context, everybody knows it. We don’t address it. One of the conflict management pieces I encourage people to embrace is you move toward conflict as soon as it’s there because it doesn’t get better if you don’t address it. Remain calm and address the facts. What is your advice when you have somebody either in business or a volunteer in a charity that it just isn’t working out? From your perspective, what’s your advice on how to deal with changing their job or moving them out of the space? Kurt: Obviously, every leader wants to establish a really healthy culture in their organization. There is nothing more damaging to that organization than a passive-aggressive attitude of, “We appreciate your time serving in this position, but man, do we need you over here passing out the hymn books as people enter. There is nobody else that can do it; you must do it.” This is one thing I preach a lot on Leading LDS. There is nothing more valuable to a leader in my opinion than this ability to effectively communicate on a one-to-one basis. I get questions and situations emailed to me all the time, “I have this difficult person that is in my ward or my primary relief society. What should I do with them?” 90% of the time, you need to have a conversation with them. And if you don’t know how to do that, you need to develop those skills to have that conversation. That is one thing in our culture, a very religious culture, where we feel like, “I am called of God; therefore, I should have these abilities given to me in the moment that I need them to handle these leadership positions.” But it really is up to that leader to take the time to listen to podcasts like Orchestrating Success to develop these skills so that you are an effective leader. It’s not just going to come because they call you a leader. Hugh: Absolutely. What you just described is a triangle relationship. You have that local leader calling you about a third person. There are three people in a relationship, which is neutral. There are triangles that are the basic blocks of human relationships. What that person may have wanted to do is triangle the other person, which is another way of looking at passive aggressive. They want to dump all their energy on you and have you do something about it, which happens in the life of the church. That is the culture that people sometimes unload on a third person about that other person, which doesn’t solve the problem. What you did was undo the triangle and say, “Go face to face. Address the situation. Develop the skills to do that. No, God didn’t download these skills to your hard drive. You need to think about it and faith, God is giving you certain abilities, but He is also giving you the ability to think and speak the truth. Hall said, “Speak the truth in love.” We dodge around it. We hint around it instead of saying, “This isn’t working out. How can we remedy it?” Sometimes, a person will want to upgrade their skills, and we can mentor them in that. Sometimes they are going to say, “This isn’t working for me either.” They know it, and they may not know how to tell you that they want out of it. I think a direct one-to-one conversation. You want to respond to that paradigm? Kurt: That’s the beauty of it. When you learn how to have these conversations, it’s not like this person is struggling in this calling or assignment and is oblivious to their lack of ability. By having that conversation with love, again, going back to meekness and connecting with that person, they are more likely to say, “I hate failing at this thing, too. Do you have any suggestions of a way I can be better? Or maybe there is a better place for me to be.” Then you don’t have this weird passive-aggressive relationship of, “Remember that time you fired me but we never talked about it?” They move onto the next position where they can maybe flourish, and they still love you as their leader because you took the time to have that interaction and express love to them in a way that will help them flourish elsewhere. Hugh: We’re talking to a business audience in this podcast. There is a lot to learn from being able to manage self and speak clearly in this culture. That question I asked you a while ago, how can business leaders learn, all of this, leadership is leadership. Good leadership is good leadership, no matter where you are. In the context you’re working, it’s more difficult. By the way, in my methodology, when I was inside the church, I developed this paradigm of we’re called to ministry, so why are we calling people volunteers? I don’t know if you call them volunteers or not. I started this initiative in the last church I served where we outlawed the word “volunteer” because we are teaching everybody in our theology that God calls you to Christian service. It’s in conflict to say, “I want to volunteer stuff” rather than saying, “I was called to leadership.” You mentioned servant leadership; that is certainly a title. We adopted the title of “members in ministry,” which worked for the church. It was us in a leadership position. It changed the paradigm of performance. People saw themselves as leaders. We had lots of people doing lots of stuff joyfully because they had a leadership track. It wasn’t the volunteer mentality of showing up and doing the least I can because I am a volunteer. It was a paradigm shift. My bias is we have to let go of some words to be able to let go of the old paradigm and shift to a new one. What is your response to that methodology? Kurt: In the Mormon faith, the nomenclature of these volunteer assignments is it’s my calling. What is your calling? I was just called to this position. I think we have gone too far with it to where we have used it for so long for so many years that it has the same connotation as if we just said volunteer. This goes to when I started Leading LDS; our slogan that I say at the end of each episode is, “Be a leader, not a calling.” Insert whatever word there. “Be a leader, not a volunteer, manager, executive” because in my opinion, leadership is something that you step up to. You’re not always dragged there and told to wear your crown, enjoy it, and be effective. Leadership is something we need to find in each one of our selves and say, “I can have some influence somewhere in the world. Where is it going to be?” For me as a young 28-year-old, I was asked to be a bishop and I thought, Well, I can either flounder or flourish. Not that I was the most successful bishop and there are statues of me anywhere by any means. Nonetheless, I saw it as a calling that is a great opportunity to lead. Leadership is no better than when it’s self-called. Hugh: What is the biggest challenge you see in leadership anywhere? Inside the church, inside a business. What is the biggest challenge in today’s convoluted toxic world today? Kurt: That’s a great question. Many books have been written on that. I would probably change my answer month to month, but most recently, I have been very struck with this topic of the role of shame in organizations, especially more highlighted in religious situations because we go to our chapel every Sunday. There is always this undertone of, You’re not doing enough. You need to be better. Keep the commandments. Be more. Be more. Of course, I want to be part of an organization that is constantly encouraging me to be better. It’s so easy for the adversary we would have in our doctrine to twist that and say, “You know what? You’re just not good enough. Because you’re just not good enough, you’re broken. If you’re broken, you don’t belong here.” That person internalizes that message of, “This system broke me. This church broke me. This organization broke me. I don’t want to work there because they shame me and make me feel less than myself.” There is this subtle balance for a leader to be encouraging and motivating without being shaming. I have been doing lots of research and interviews around this topic of how we can better lead without shaming. It’s valuable. Brene Brown has done some remarkable research on it. Her TED Talk, which is one of the most listened-to, about this concept of vulnerability and shame and recognizing it and getting it out of your life. Nothing that comes from God is laced in shame, and there is no place for it in the church nor is there any place for it in any organization. Hugh: When we are demeaning ourselves, we are demeaning God, because we are a creation of God. In this series of podcasts, #42 is my colleague Dr. David Gruder, who is an organizational psychologist. He talks about the shadow. That is part of what you’re talking about: the negative scripts that we have that limit our ability. Sometimes we’re our own worst enemy, no matter where we are leading. Kurt: Yeah, it’s too bad. Hugh: I’m glad you referred to that. It’s a hidden liability for leaders. It’s really a problem. This podcast is called Orchestrating Success obviously. I picked up when you said you prepared for this podcast. Thank you. That honors what I’m doing. You checked me out, and you obviously know I am a musical conductor. Orchestrating is how you define the instruments that play, but it’s also adding energy to that idea that is notes on paper become sounds, glorious sounds. The subtitle is “Converting Passion to Profit.” I am a champion for profit in all of its forms. The scripture says, “What does a man profit if he gain the whole world and lose his soul?” That is a different element of profit. We can be a prophet, for profit, and profit from the synergy of the community. What I want people to do is to profit in their leadership methodology, their vision for empowering themselves and their teams through this series of interviews. Speaking to that paradigm, what’s the most important takeaway that you’ve had? You were a bishop at 28. You don’t look a whole lot older than that. Kurt: I’m 35, so it’s been a few years. Hugh: I’m 71. You’re not a whole lot older than that. Kurt: I still got a lot to learn, for sure. Hugh: I can remember 35. It’s kind of fuzzy. What would you like people to take away? I think we’ve covered our topics really well. If there is something else you want to cover here, I’m happy to do that. Back to my question. What are the takeaways you would like to emphasize for leaders who need to up their game in any space, in an entrepreneurial space, charity space, church space, wherever? What are some empowerment pieces that you’d like to leave people with? Kurt: Pleasure to do so. Again, I thank you, Hugh, for giving me a stage here to talk about what I have learned as a developing leader. My overall message that I would love for people to take away is be a leader and not a calling. Wherever it is that you lead, are you leading because you are called to that or asked to lead or hired as a leader, or are you leading because you find it a passion in your life to step up and have an influence for good in your world and surroundings? You mentioned my age of 35. One of the principles I wanted to mention is for leaders out there, even in the secular world that maybe are managers or executives, somebody took a chance on the 28-year-old young kid to be a bishop. It impacted me as a person and hopefully I had positive influence in that role. Don’t underestimate. Speaking as one of the older Millennials in the world, don’t underestimate the power of those Millennials. Don’t wait on them to lead. That doesn’t mean you have to fire your older executive staff and put a bunch of young guys in Levi’s in there. Look for opportunities for them to lead and to flourish so that by the time that you do need them to step up, they are ready to go and to be a leader, not a calling. Hugh: That’s huge. We’re not engaging Millennials as a sector. I’m a boomer, you’re a millennial—we have similar values. We value core principles, and we value a lot of things that we see in common, but we have a different way of approaching it. Neither one is bad or good; it’s just understanding and celebrating the difference and creating a diverse board, a diverse cadre of people who are servant leaders in any organization. That’s a great final thought. Kurt, I see why you’ve been called into leadership positions. You’re on top of your game, sir. Kurt: Thank you. I appreciate that. It means a lot. Hugh: Thank you for being on this podcast, and thank you for sharing your message with so many people that tune in.